For years this particular car has been my dream car. No no, it's not the fastest or most expensive car, it's not even the lastest model. 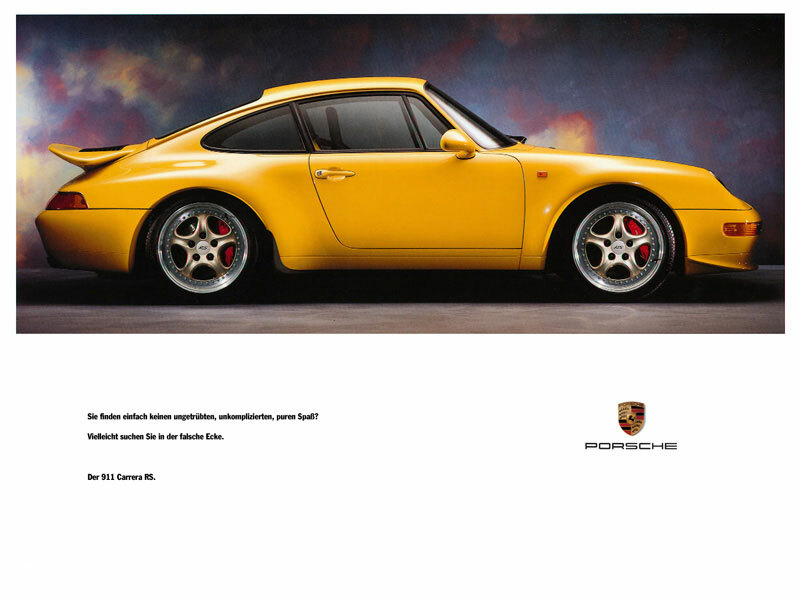 It's the 964 Porsche from the 911 series. This car was produced from 1989 to 1994. First presented as Carrera 911 in 1989 with all-wheel-drive (Carrera 4). A new naturally-aspirated engine called the M64 was used for 964 models, which displaced 3.6 litres and produced 247 bhp (184 kW) @ 6100 rpm. Obviously a flat-6 boxer motor. In 1992, Porsche produced a super-lightweight, rear-wheel-drive only version of the 964 dubbed Carrera RS for the European market. It was based on Porsche's 911 "Carrera Cup" race car and harkened back to the 2.8 and 3.0 RS and RSR models. It featured a revised version of the standard engine, titled M64/03 internally, with an increased power output of 260 bhp (191 kW). A track-oriented suspension system with lower ride height, a stripped-out interior that devoid of power windows or seats, rear seats, air conditioning, sound deadening or a stereo system and new racing-bucket front seats were part of the package. A later ultra-low production version of the RS featuring a 300 bhp 3.8 litre version of the M64 motor was also sold briefly in Europe (Carrera RS 3.8). 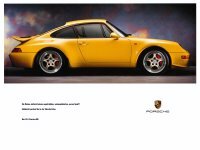 The 3.8 would be the ultimate dream car, though a 3.6 RS would do just fine, preferably in white with the classic red, blue or green banner on the lower part of the door saying Carrera.